Do you remember your first love? Waiting in the hall with bated breath, watching for that first glimpse as he rounds the corner, the catch in your heart when your eyes meet, smiling so big your cheeks hurt, surges of electricity when he grabs your hand, shoulders bumping in the crowded hall on the walk between classes. If you’re my age, you waited at home for his phone call and then talked for hours – finally ending with your ears throbbing and arm muscles sore from holding the receiver to your ear for so long. Do you remember when that relationship began to take a turn south? I could always tell when one of my older daughter’s boyfriends was fixing to be an ex. Unless there was an outright betrayal, it was usually a gradual separation. They didn’t spend as much time together or text as much. Her “person” lost the place of priority in her life. Eventually, the relationship fizzled out. One night many years ago, my younger daughter caught me before heading to bed. “Mom,” she said, “I feel empty.” I had a pretty good idea why, but I probed with questions to help her identify it. Finally, she said, “I don’t feel like I’m close with God anymore.” We talked about relationships in general and what it’s like to feel distant from someone special when you haven’t spent time together in a while. I was tired and really wanted to head upstairs for bed. But this was a divine interruption. We spent some time in the Word together, reading through a passage and asking questions of the text. In the process, God spoke to her personally. She connected with Him again and learned an all important truth. 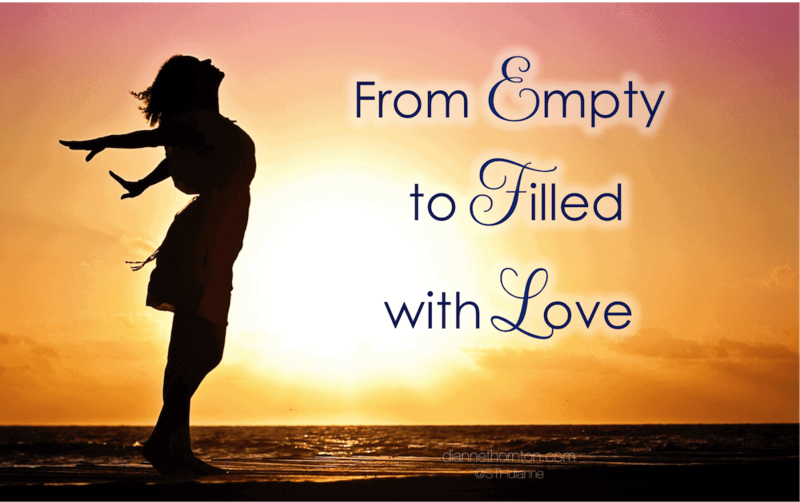 We can go from empty to filled with love by spending time with God in a meaningful way. We both felt better heading to bed that night. Do you remember what it was like when you were first in love with Jesus? When two people are newly in love, they can’t get enough of each other. They create time and space to be with one another, and they anticipate every moment. When I was dating my husband, we talked on the phone until we fell asleep. Today, couples text until you’re certain their fingers will fall off. The key ingredients for grow growing an intimate relationship are time and communication. Initially, it’s easy to do. Ideally you spend time together every day–communicating. In our spiritual lives, communication is two-way conversation with God. God speaks to us primarily through the Bible and our prayer time. 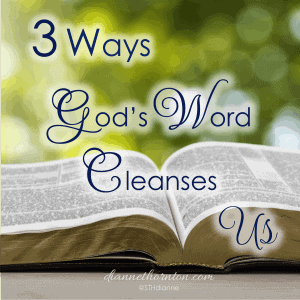 We respond to Him by journaling about what He showed us in His Word and/or through prayer. We also talk with Him about the things that are most important at the moment. As we continue to pray, He speaks to our hearts. When we first come to Christ, we are aglow with the wonder of knowing that God loves ME! 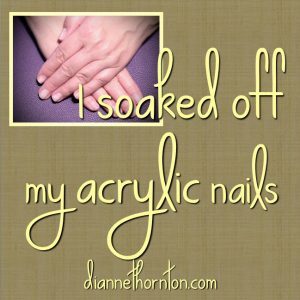 But as we adjust to our new life in Christ, sometimes the shine begins to wears off. Then it takes work to make the relationship work. If we don’t, a feeling of emptiness can set in. 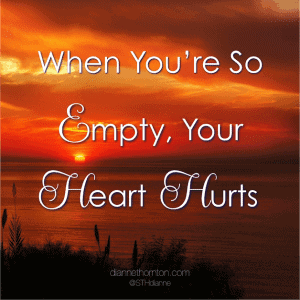 This feeling of emptiness is an indicator that things aren’t quite right in our relationship with God. 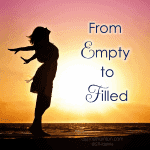 I’m so glad my daughter approached me about her feelings of emptiness. I’m glad she got to experience first-hand how spending a few minutes connecting with God could move her from feeling empty to filled with love. There are many things we can use to try and fill that emptiness. Time with friends, busyness with activities, food, alcohol, screen time. You name it. But no thing and no person can fill our hearts with what we truly crave. Only a relationship with God can do that. The goal is to have a steady, fulfilling relationship with the Lord. In John 10:10, Jesus told His listeners, “My purpose is to give them a rich and satisfying life.” It’s not a perfect life (John 16:33), but it is one that is satisfying— superabundant—beyond measure. Admittedly, even when we spend time with the Lord every day, sometimes we don’t feel tenderly toward Him. That’s normal in all relationships. Feelings fluctuate. But if you are feeling empty, take a look at the time and space you spend with the Lord. Do you spend time with Him every day? Are you talking with Him? If the answer to either of these is no, thankfully, each morning is an opportunity to start over. I need that! A fresh day with fresh opportunities. A clean slate. As we draw near to God, He promises to draw near to us (James 4:8). 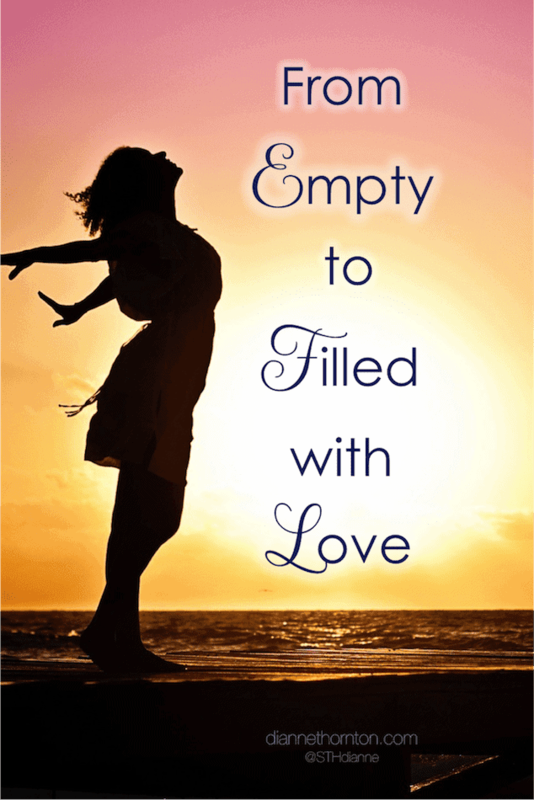 We no longer walk around feeling empty, instead our hearts are filled with His love. God is the only love that can fill the gap inside of all of us. Thanks for the reminder that we all need to spend time with God! Indeed, Kay. That niggling sense of searching when we’ve been away can be our clue to snuggle closer! Thanks for reading! Great post and great reminder. I love the comparisons between the past and now. I remember racing to get to the phone first, just in case it was someone “special”. That’s a big difference from today when many times I won’t even answer the phone for fear it is a telemarketer. Dianne, what a great comparison and wonderful how quick feelings can change when we spend time with the one we love. Of first things. You put your daughter first in that moment and modeled this. Good job mom!! I know the path to full and am still amazed by how empty I let myself get. Thanks, Denise. I agree. I think that emptiness creeps up on us … or, after a huge day, hits us full force. Thanks for taking time read and comment today. Thanks for this. It’s amazing how time with Jesus can refresh us and restore that close relationship. These words really resonated with me, and I loved the reminder: “But no thing and no person can fill our hearts with what we truly crave. 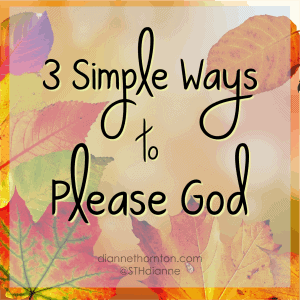 Only a relationship with God can do that.” Thank you for your post.